Alex finishes reading. When I open my eyes, he's staring at me. "What?" I ask. The intensity of his gaze nearly knocks the breath out of me- as though he's staring straight into me. He doesn't answer me directly. He flips forward a few pages in the book, but he doesn't glance down at it. He keeps his eyes on me the whole time. "You want to hear a different one?" He doesn't wait for me to answer before beginning to recite, "'How do I love thee? Let me count the ways.'" There's that word again: love. My heart stops when he says it, then shutters into a frantic rhythm. "'I love thee to the depth and breadth and height my soul can reach...'"
I know he's only speaking someone else's words, but they seem to come from him anyway. His eyes are dancing with light; in each of them I see a bright point of candlelight reflected. He takes a step forward and kisses my forehead softly. "'I love thee to the level of every day's most quiet need...'"
It feels as though the floor is swinging-like I'm falling. "Alex-" I start to say, but the word gets tangled in my throat. He kisses each cheekbone- a delicious, skimming kiss, barely gazing my skin. "'I love thee freely...'"
And that's it! I hope you guys enjoyed it! Be sure to leave your Swoon Thursdays in the comments below! See you next Thursday! Definitely enjoyed it. I love when they quote poetry. And the kiss at the end - perfect. I agree- it's a perfect mixture! 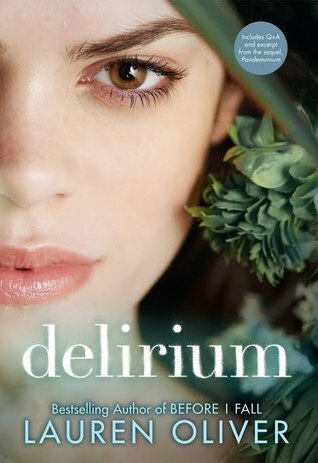 I love both Delirium and Alex! 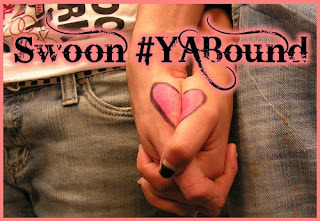 He's one of my favorite guys in YA, and oh so swoon worthy! !